Using your HTML editor, chose File > New. 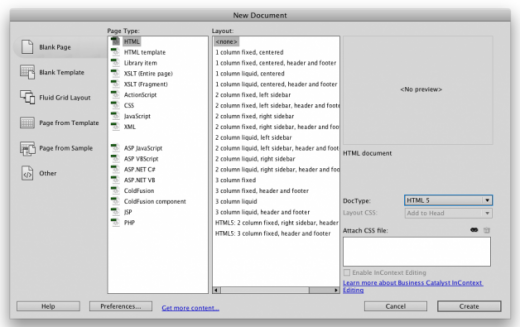 We are creating a “blank” HTML page with the DocType set to HTML5. Create a folder called week2-code; then save this new file in that folder as your “index.html” file.